Pregnancy Test Reviews: Here is what you need to know about the Accu Clear Pregnancy Test. There are quite a number of home pregnancy tests available for women to choose from. A typical example is the Accu Clear test kit which is classified as a home pregnancy test. Before finally deciding on purchasing it, it is important you know how it functions and whether or not it is up to the standard you want. Pregnancy tests come in different forms. Some are capable of detecting pregnancy earlier, while some are digital and other cut the waiting time to half. Finding the one that is perfect for you will defiantly make you a lot more comfortable when it is time to test. In all, Accu Clear home pregnancy test is known to have consistently performed well in trials and has become quite popular among consumers. It is one of the best-selling brands in the United States due to it competitive price and efficiency. Accu Clear Pregnancy Test Kit is a lot cheaper than many similar brands and offers value for money, as well as a completely reliable result. The Accu Clear range includes both early and regular home pregnancy test to give you a lot more options; early pregnancy tests are highly sensitive and can detect traces of pregnancy hormone Human Chorionic Gonadotrophin (HCG) before regular tests. This gives you the option of knowing your pregnancy status much earlier. Accu Clear tests have been designed to provide users with the most reliable and accurate results. Unlike most other pregnancy tests, Accu Clear is so very easy to use and interpret. Further details of the Accu Clear pregnancy test are outlined below. Learn 5 Important Secrets to Getting Pregnant Quickly TODAY! Learn the 5 Top Reasons that Women Are NOT Getting Pregnant! The Accu Clear Pregnancy Test kit works by detecting the pregnancy hormone Human Chorionic Gonadotrophin (HCG) in the urine. This hormone is usually secreted to prepare the body for a potential pregnancy and can be detected before or around the time of a missed period. Most people use a missed menstrual period as a prompt to undertake a pregnancy test, as it is one of the most common signs of a pregnancy. For optimum results when using a Accu Clear pregnancy test, it is advisable to do the test in the morning. Though it can be done at any time of the day, the concentration of the Hormone Human Chorionic Gonadotrophin (HCG) is a lot higher in the morning especially when you urinate after sleeping all night. The test is very simple to carry out; all you need to do is place the test stick under the flow of your urine for about 5 seconds. The results should then appear in about 3 to 4 minutes. The test most accurate a few days after your period is due. This is mainly because the pregnancy hormone Human Chorionic Gonadotrophin (HCG) levels may be too low for the test to detect before this time and result may come out as false negative. This test kit is known to produce accurate result earlier than most other test kits in the market. The Accu Clear pregnancy test can detect lower levels of the Human Chorionic Gonadotrophin (HCG) hormones which indicate a woman is pregnant. This is a lot more sensitive than regular tests. It is known to produce reliable results on the first day of a missed period. The plus sign display instead of a single line is a very reassuring visual confirmation that the test is working properly. Single line displays in the pregnant or not window can worry some women who wonder if they are doing the test properly. The Accu Clear test kits come in packs of two as well as single units, which saves you money and allows you to retake the test a few days after if the first test comes out negative due to low levels of HCG. Positive results are almost certainly reliable but negative results should be repeated a few days later. While Accu Clear is an exceptional home pregnancy test kit, it has a couple of downsides too. Unlike most other top grade home pregnancy test kits, Accu Clear Pregnancy tests are not sensitive enough to detect low levels of the Human Chorionic Gonadotrophin (HCG) in the urine during the early days of conception. You will have to wait until after or during your first missed period. The waiting time for Accu Clear Pregnancy test is also another cause for concern. Unlike most other high profile home pregnancy tests, Accu clear test are result do not come as fast as it should. The average waiting time for most result is 2 minutes, however, with Accu Clear, you should expect to wait for about 3 to 4 minutes to get the result. Pregnancy is an exciting period. It is great and a lot more exciting when you are able to confirm it at the earliest possible time and Accu Clear Pregnancy Test is one tool you can deploy to achieve that. Everything You Need To Know To Get Pregnant! 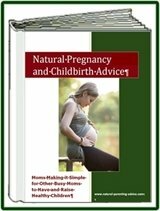 Learn the secrets to getting pregnant quickly today - for free! It is our present to you. Read, Post or Comment in any category you like.